When you wake up in the morning after seeing the haram of the Commander of the Faithful, you feel maybe it was a dream. It’s only when you see your new friends and the fact that you are in a hotel room, that it brings the message home that now you weren’t just dreaming, but you saw with your own eyes the golden shrine of the Gate of the Prophet’s Knowledge and the Lion of Allah. Itinerary has been slipped under the door, so we know what awaits us, or do we? Today we are going to see some of the most important and trusted companions of the Commander of the Faithful. Companions that gave their lives for the loyalty and love they held for the first Imam of Islam. It’s a beautiful day, bright and fresh with a spring to our steps and walk. 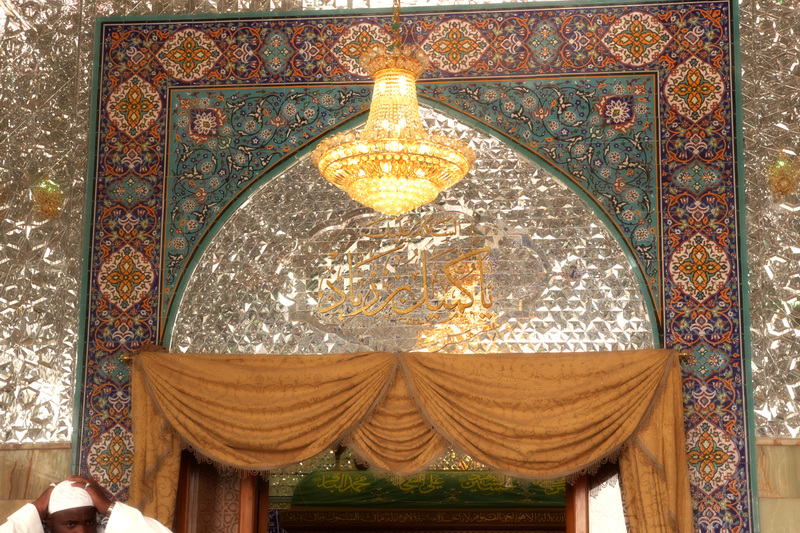 We have been charged by the visit to the Master, Imam Ali (a), the night before. Still can’t get over it, we actually touched his zaree and were in the presence of the beloved of Fatimeh Zahra (a). Boarding our coaches and it isn’t long before we are outside the suburb of Kufah, and we disband our coach to enter the haram of Kumayl ibn Ziyad. Walking up the stair of Kumayl ibn Ziyad’s haram reminds you of one thing, if you truly love the Ahlul Bayt and follow them even if your life is in danger and your wealth at risk of loss, you will be elevated to the highest levels in this world and more importantly in the next world. Many emotions go through me on this special visit! How much dua Kumayl means now than before, how much of it I appreciate and understand than before! How even in the most darkest times of life, it is like a beacon of light that saves you from the storm. Storms that envelope us on regular bases, and maybe that is why Imam Ali (a) advised us to recite it every Thursday. He knew that we will need a weekly charge of this divine energy. O’ Ali, how thoughtful you are for us, even when we aren’t as thoughtful for ourselves. Before we have the honour of entering Kufah Mosque, we must pay our respect to Maytham Tammar, the date seller. A date seller whose place along the Commander of the Faithful is guaranteed by his loyalty and stubbornness of love for Ali ibn Abu Talib (a). It’s not what career or status we have in life, but to what degree we want to be close to our Master, in this age it would be the Imam of Our Time, the Guided , the Proof of Allah on Earth. Now we step into Mosque of Kufah, prepared by the companions of our first Master Ali, to be greeted in Mosque of Kufah by the companions of the third Master Hussain! O Muslim ibn Aqeel, you were the first martyr of Karbala, you were the beloved of Hussain ibn Ali (a), his ambassador and the guest of Kufah! Oh how they treated their finest guest, with what hospitality, with what compassion and respect. O Mokhtar Thaqafee, you were the method by which Allah sought his revenge on the murders of Abi Abdullah (a) and his family! So many important places exist in this magnificent Mosque. The capital of the second infallible government that ruled the Islamic world. The place where the Ark was built and the great flood of Prophet Noah started. The place where 12000 thousand prophets have prayed and where a two rakat prayer is worth more than an accepted haj! But the most important of the reasons is our beloved first Imam, the Lion and Sword of Allah, the beloved of the Seal of Prophet hood was martyred here. The place where the worst of creation struck the best of creation, and where the pillars of Islam were broken and the closest of all creation to the Prophet’s (s) life was taken. You know your night has been special when you have visited the home of Imam Ali (a) in Kufah and you perform one of the best mourning sessions. When you mourn and cry for the beloved Imam’s in the very home they lived in. We mourn for our Masters in Hussainies and Mosques and even our own homes, but can they be compared to the very location and within the very walls that they lived their magnificent lives!